One of the most common VA Disabilities is hearing loss. And for that reason, one of the most commonly asked questions by Veterans is: What is the VA disability rate for hearing loss? Ask this question to most VSOs, attorneys and your fellow Veterans, and you are going to get the wrong answer. Or, more properly said, the answer we have been taught for years, which happens to usually be wrong. In fact, after 10 years of talking to thousands of Veterans like you, assigning a VA Disability rate for hearing loss is one of the most common errors the VA makes. Well, for a long time, we Veterans have been taught that the VA rates hearing loss just by looking at a bunch of numbers, and matching them up to a chart. That’s the simple answer, and simplicity often reigns supreme in a complex world. But in this case, the simple answer is the wrong answer. In this post, I am going to walk you through 3 – CORRECT – steps to make sure that the VA disability rate for hearing loss which you are receiving is, in fact, the correct and highest rate you are entitled to. How is the VA disability rate for hearing loss Currently Decided? To understand whether you are getting the correct VA Disability rate for hearing loss, we need to first take a step back and understand what the whole point of an impairment rating is in the first place. As I teach in my 5+ hour training video, “How to Prove the 4 Pillars of your VA Service Connection Claim“, the Impairment Rating is the 3rd Pillar. It is how the VA takes the frequency, chronicity and severity of your disability, considers how it affects you in your daily life with special focus on its impact on your ability to work, and converts that to a percentage for disability compensation purposes. Over the years, I have noticed that a lot of Veterans put so a lot of energy into proving the 2nd Pillar – proving that their current disability is related to service – but lie exhausted on the field of battle and don’t fight as hard when it comes to the ratings. And VA disability ratings for hearing loss are no exception to this observation. 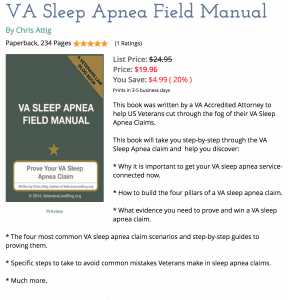 I teach, in great detail, how to maximize your VA Disability Rating for any condition by using the right evidence to prove the right facts in the “4 Pillars” Training Course, and won’t repeat them all here. The first thing I teach, though, is to look at the VA rating tables to determine what symptoms – or manifestations of your disability – that you need to prove for that condition. If you go to the VA hearing loss rating table, you would find that the VA focuses – in the rating table – on 2 very mechanical criteria. The first is the “puretone audiometry test”, which is the test that measures the decibel levels of sound that you can hear at various sound frequencies. The VA first started using this test around 1987. This can get confusing, so let me see if I can help you understand the difference between frequency and decibels. (As always, doctors and scientists, please forgive my over-simplification, here…if you have a better way of explaining this, I’m all ears. Pun Intended). Sound is made by vibration of air waves, and every sound vibrates at different rates. The faster a sound vibrates, the higher it’s “frequency”. Frequencies are measure by “Hertz”, and the higher pitched a sound, the higher the frequency, and the higher the number of “Hertz” a sound measures at. Every sound has a different frequency…and the range of human hearing is from frequencies of 20 Hertz (Hz) to 20000 Hertz (Hz). The VA doesn’t care about the whole range of your hearing loss when it rates your condition. It cares only about a few key ranges: 1000 Hz, 2000 Hz, 3000 Hz, and 4000 Hz. Without getting too detailed, the VA hearing tests the level of sound you can hear at those 4 frequencies. It measures those levels in decibels. What is a decibel? It’s the “loudness” of the sound at a particular frequency – and this loudness is measured in decibels. So the louder a sound, the higher the decibels. This chart has a GREAT listing of all the different decibel levels of particular military sounds – it won’t have any role in your VA Claim or Appeal, but it gives you an idea of how loud particular sounds we experienced in the military were. The key number for rating purposes is the “Puretone Threshold Average” – as determined in your hearing test, it is the average decibel level you can hear at each of the 4 frequency levels above. It’s not a widely used or accepted test. In fact, in 2014, the NCBI (National Center for Biotechnology Information) found that “The Maryland consonant-vowel nucleus-consonant (CNC) Test is routinely used in Veterans Administration medical centers, yet there is a paucity of published normative data for this test.” Loose Translation? The VA loves this test, even though there isn’t a lot of data to show that it means anything relevant. What the Maryland CNC test does, in theory, is measure your ability to hear and recognize a variety of words at different Puretone Audio Thresholds (the number achieved in the first test). The result of this test is what is called a Speech Discrimination % – roughly stated, it is the percentage of words you recognized at different decibel levels. So, now that we know those 2 numbers, we go to the VA Impairment Rating Tables at 38 CFR 4.85 and use the instructions at 4.85(e) to useTable VI to come up with a percentage of impairment. For each ear, find where the PTA and the Speech Discrimination Percentage intersect, and write down the Roman Numeral that appears. Then, turn to Table VII and go to the column corresponding to the Roman Numeral for the worse ear. Find where it intersects the row for the Roman Numeral for the better ear, and you have a percentage rating. And, for most Veterans, VSOs, and attorneys, the analysis stops here. But that is where we are missing out on higher ratings. First, where do most hearing tests occur? In a soundproof room with a nice set of headphones on so you can have the best chance of hearing the sound the examiner is testing for. How many of you work or live in sound-proof chambers? Even morticians – who work around the quietest people on earth – do not work or function in such a controlled environment. Second, remember what I said above about how the VA’s tables are skewed to the lower frequency hearing loss that presents late in life? How many of us left the Army at age 25, 30, 35 or 40 years old, and have difficult hearing our bosses at work, our clients on phone calls, etc. I will tell you that my hearing is largely high frequency hearing loss, which limits my ability to hear on the phone – that is one of the reasons I don’t take a lot of phone calls. I can’t hear very well on them, and I spend half the conversation saying “What? Who? Spell that for me?” It’s frustrating and embarrassing. Many of you have it much worse, and know what I’m talking about. Those 2 situations have one thing in common – hearing loss has effects on our lives and our jobs that are no contemplated by the VA.
And it is in those “effects not contemplated” where the higher VA disability rates for hearing loss lie. How the Martinak case changed Hearing Loss Evaluations. The Martinak case was published in 2007 – and it’s a pretty important case. 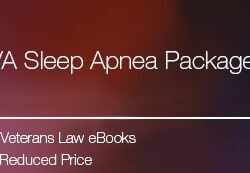 So important, in fact, that you cannot get a copy of it on the website of the Court of Appeals for Veterans Claims. Click here and see how they have deleted all links to the briefs and decision in this case. I’m not suggesting ANYTHING improper here – in fact, the Court is doing what it is supposed to do – complying with what Congress is telling it to do. So, to my friends and colleagues at the Court, please do not read this as an attack on or jab at the Court. It’s not. It’s a jab at our colleagues in the Legislative branch. Congress doesn’t require the Court to keep copies of case related records for this long. This is just another reason that Congress is part of the problem. It would take 6.5 minutes to write and pass a law that says that any Court reviewing a Veterans claim under Title 38 must maintain copies of the case files digitally for 50 years. Or 100 years. Digital storage is so cheap that I can’t fathom why we wouldn’t keep these records forever. The Martinak case considered whether the VA policy of conducting the Puretone Audiometry and Speech Discrimination Tests in a controlled soundproof environment was a valid and appropriate way of testing hearing loss. It found that it was, but also found that the VA policy included another requirement: “[I]n addition to dictating objective test results, a VA audiologist must fully describe the functional effects caused by a hearing disability in his or her final report.” Martinak, 21 Vet. App 447 at 455 (2007). Any other functional impacts other than #1. If the only functional impact your hearing loss has is that it results in “decreased hearing and difficulty understanding speech in an everyday work environment” than you are likely stuck with the disability percentage that resulted from the 2 tests described above – those are, according to the law, the very functional effects that the Puretone Audiometry and the Maryland CNC Speech Discrimination Test measures. But, if you have functional impact from your hearing loss that falls into any other category, then the examiners failure to consider those criteria renders the exam inadequate. In short, if you have a functional impact from your hearing loss BEYOND decreased hearing and difficulty understanding speech, then as a matter of law, the VA rating criteria do NOT adequately compensate you for the symptoms of your hearing loss. What to do when the VA exam doesn’t Adequately Compensate the Symptoms of your Hearing Loss. If you have read the Veterans Law Blog for any amount of time, I think you know the answer. Lay Evidence. Get more Lay Evidence. Get more Lay Evidence into your C-File. On the contrary, a hearing loss claimant could provide evidence of numerous symptoms, including—for purposes of example only—ear pain, dizziness, recurrent loss of balance, or social isolation due to difficulties communicating, and the Board would be required to explain whether the rating criteria contemplate those functional effects. Doucette v. Shulkin, 28 Vet. App. 366, 371 (2017). How would the Board consider those criteria and how would it result in a higher disability rating? When the rating criteria for a given condition do not adequately compensate the Veteran for his or her unique symptomatology, then the Board is REQUIRED to consider whether an Extra-Schedular Rating (a rating above the percent that the schedule allows) is appropriate for that unique set of symptoms. Click here to learn more about Extra-schedular ratings, and click here to learn more about Extra-schedular ratings in a Hearing Loss claim specifically. 1) Appeal the Ratings Decision that gave you NO or a LOW rating for your hearing loss – don’t seek reconsideration, that’s a trap that will screw you in the long run – by filing a Notice of Disagreement (aka, “NOD”). 2) Make sure that your NOD includes a challenge to the credentials, competence, methods and conclusion of the VA Examiner – here’s a link to the language that I use (I update this language frequently, as court decisions give us more guidance on how to challenge junk science at the VA). 3) While waiting for your DRO conference, get a copy of your C-file – specifically, you want a copy of the Hearing Examiner’s credentials and report. 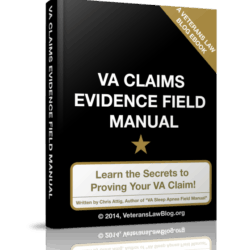 Here’s how to get a copy of your VA C-File – and how to USE it in your VA Claim or Appeal. 4) Make sure your C-File is loaded with lay evidence showing the Frequency, Chronicity and Severity of the functional impact your hearing loss has on your daily life or daily work (use the criteria from the list above – anything OTHER than the first criteria…that one won’t help you get a higher rating). 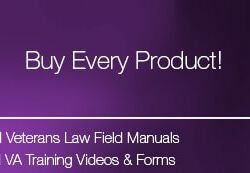 You can use the “4 Pillars Video Training Course” and the “5 Star Evidence Field Manual” to help you do this. 5) When you get to the DRO Conference, argue that the lay evidence you provided shows that the functional impact of your hearing loss on your daily life is not considered by the VA impairment rating schedule, and ask that the VA consider assigning an extra-schedular rating under 38 CFR 3.321(b) for your hearing loss. 6) Realize that the DRO that grants this claim is going to be a RARE creature – and be prepared to appeal this denial to the Board of Veterans Appeals (BVA). It is the BVA judge that is going to have to follow the rules set out by the CAVC in the Martinak and Doucette cases. If he or she doesn’t and denies you an extra-schedular rating, you should give serious consideration to contacting an attorney that has experience with appeals to the Veterans Court. Read here to learn how to find the attorney that is right for YOU and YOUR case.